3. Mix dry and wet ingredients and add spices. Add grated courgettes. 4. 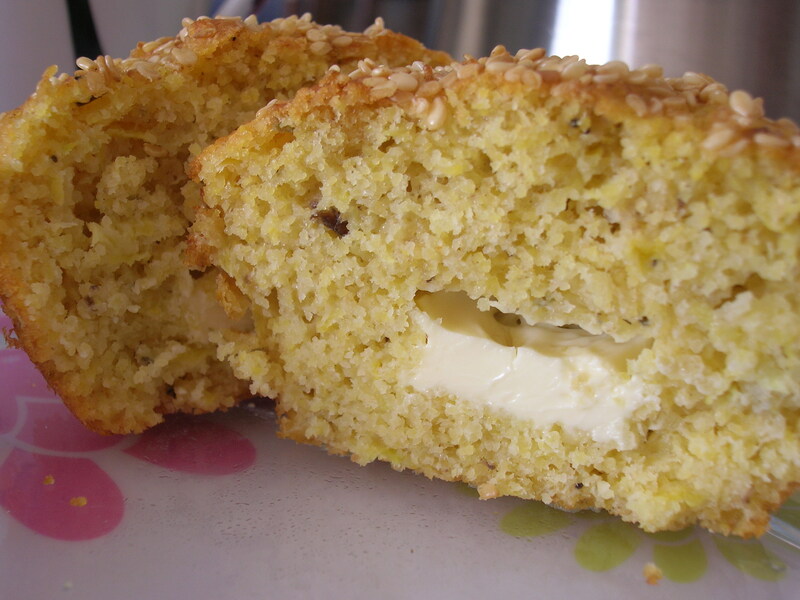 Oil muffin tin, sprinkle with corn meal (or you can use cake baskets). Pour mixture until 1/3 of muffin molds, then put some cheese on, again pour a little bit more of the mixture. Sprinkle with roasted sesame seed, if you like. 5. Oven on 190’C – bake about half an hour. Posted in Grickanje / Snacks and tagged cheese, courgettes, muffins, sir, tikvice. Bookmark the permalink.